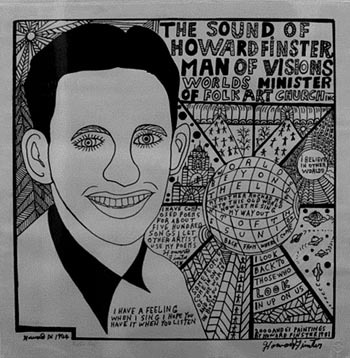 Low edition lithograph signed by Howard Finster: The Man of Visions. A true Georgia hero. A legend of American art. The Father of Folk Art. "WHEN I SING" is a print edition of only 50 lithographs. Print is signed by Rev. Finster with a sharpie marker in the lower right hand corner. Litho was published in celebration of Howard's first full-length recording back in 1980.